When they say it’s big, they’re not kidding! 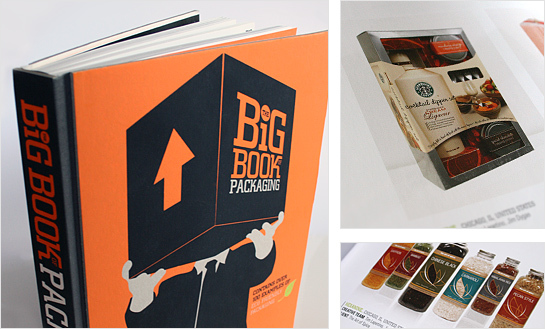 We just received our copy of Harper Design’s Big Book of Packaging and it’s chock full of great package designs. We’re happy to be in such good company, as we have several entries in the volume as well, including work for Jim Beam, The Art of Spice, Omaha Steaks, and a few others. The solid design of the book keeps all the inspiring work front and center. Highly recommended! I’m gone to tell my little brother, that he should also visit this blog on regular basis to take updated from latest information.